Oftentimes fillings need replaced during the patient's lifetime. But is filling the cavity with a foreign material really the best treatment? What if the tooth could repair itself with its own material – dentine? Paul Sharpe of King's College says a new treatment for cavities is simpler. It uses a drug that causes the tooth to fill in the hole naturally with dentine. "(It) involves putting a drug on a little sponge that goes inside the tooth, in the hole that the dentist made. It stimulates this natural process, which is starting to occur anyway following the damage, but it over-activates the process so you actually get the big hole repaired and the repair is a production of the natural material, the dentine." Usually a new drug requires repeated testing before it is approved for treatment. However, this drug that produces the regrowth in teeth has already been approved. It is a drug currently used to treat Alzheimer's disease and other disorders of the nervous system. Sharpe explains that when using this already-approved drug to repair cavities, researchers use only a small amount and they use it locally. Usually that means the medicine is put directly on the affected area. It does not travel through the patient's blood. "We are using much smaller doses and we're delivering them locally, just in a tooth." Nigel Carter heads Britain's Oral Health Foundation. 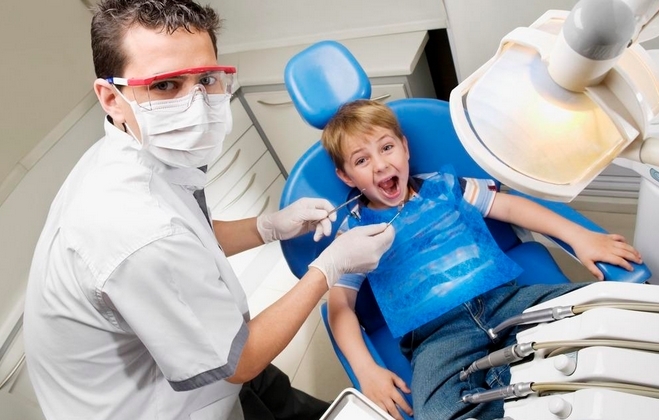 He describes the new treatment as an exciting possibility for dental care. He notes that re-growing a tooth would be a major development. But Carter also has a warning. Curing meat is a traditional method used by many cultures. 1.I am going to take a chance and say that very few people enjoy going to the dentist, especially for a filling. You take a chance on the weather if you holiday in the UK. I'm afraid to take a chance with beginners. 2.So, if you don't want to go under the drill, the dentists advise us to keep cleaning those teeth.